I have been licensed as a Licensed Professional Counselor beginning as of October 2016 and have approximately 4 years of prior experience providing counseling-related services to individuals in my community. 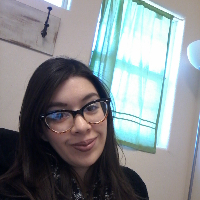 As a graduate student, I had the opportunity to implement counseling techniques and a variety of theoretical approaches at a private practice as well as within the university's community counseling clinic. I have learned much from past work at a behavioral and mental health outpatient clinic. As of recently, I have provided individual, group, and family counseling to unaccompanied minors seeking reunification in the United States and have assessed for mental concerns as well as have provided counseling for presenting issues including, but not limited to, acculturation, adjustment, behavior, goal-setting, self-esteem, and self-harm. I have provided counseling to those impacted by depression, anxiety, trauma and abuse, grief and loss, and daily life concerns such as finances, relationships, and careers. The experience obtained working with individuals with post-traumatic stress disorder and sexual abuse and trauma have provided me with the opportunity to empower individuals through teaching healthy coping skills and positive self-regard. Utilizing a variety of therapeutic approaches with clients including cognitive-behavioral therapy (CBT), solution-focused brief therapy, and the humanistic approach, depend on one's preference, however, working together towards identifying what one prefers and will benefit from, in unison with a strong, therapeutic bond compose the foundation for your success. Thank you for your time and entrusting to work with me! Alexandria has been very helpful so far and has provided me a lot of feedback and exercises to help with my anxiety. I have just started using BetterHelp and she has already helped me to feel comfortable speaking about my concerns. Alex is amazing. She’s so compassionate and kind. She listens to me and gives me great tools and strategies to help me cope with my issues. I couldn’t ask for anything more. Working with Alexandria Lara has really changed my life, anxiety stress and anger management. I really am looking forward to continue working with her on this skills. I think that I can improve. Would you like to write a review for Alexandria Lara? We'd appreciate if you can spend a couple of minutes to write a short review for Alexandria Lara (MEd, LPC). This review would be shared with Alexandria Lara. It may also be posted in our website or in Alexandria Lara's profile but it would be anonymous and your identity would be kept completely confidential.